Certified Organic Kale is rich in minerals, antioxidants, protein and fibre. Kale is also a rich source of carotenoids. These include beta-carotene, a source of Vitamin A, and Lutein and zeaxanthin, for good eye health. It is high in Vitamin A, C and K and is also a good source of calcium and potassium. 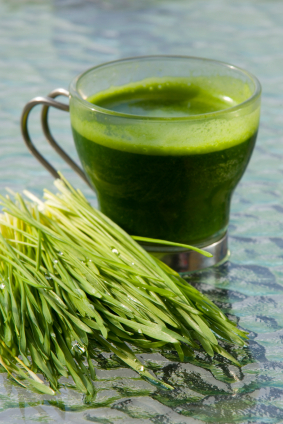 The easiest way to get your greens! Add to your smoothie or juice. 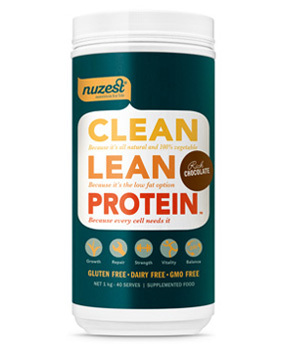 Even to a muffin, pancake or bread mix. 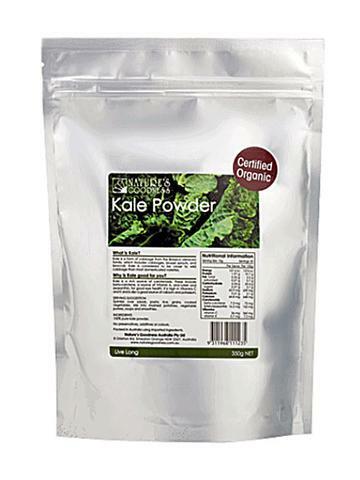 Certified Organic Kale Powder (350g) by Nature's Goodness. Ingredients: Certified organic 100% pure kale powder. No preservatives, additives or colours. Store: Sealed in a dry, dark cupboard away from direct sunlight. Origin: Australia from imported ingredients. 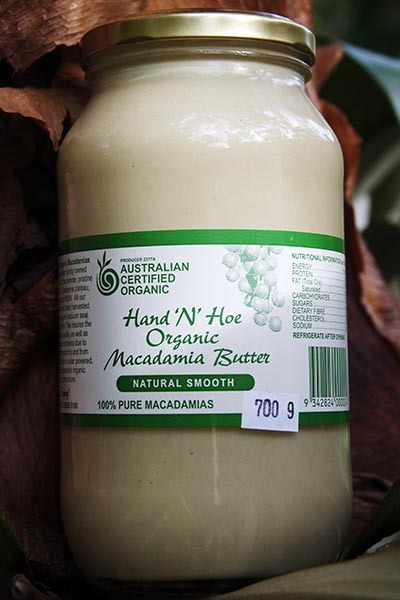 Nature's Goodness are an Australian owned and operated manufacturer of health and beauty products, with over 20 years experience using natural ingredients to improve your health, beauty, and wellbeing. They are also a leading maufacturer of honey bee products, and always maintain the highest level of product standards. Nature's Goodness products are manufactured from the finest ingredients, collected from remote, pollution-free areas of the Australian bush. They are free of all pesticides, additives and all toxic chemicals. All products are extensively tested for quality and effectiveness.